Toilets that don’t flush the right way can be a headache for homeowners—especially when the cause isn’t apparent. Either the toilet does not flush at all, or it could be draining very slowly. In some cases, the toilet never seems to stop draining. All of these problems can be a real pain in the neck, but luckily, there are several fairly common reasons why a toilet won’t flush. A lot of people have a bad habit of flushing too much toilet paper. They may also attempt to flush things other than toilet paper, such as sanitary products, wipes, and paper towels. These products aren’t designed to be put down the toilet and can result in a clogged pipe that makes flushing impossible. Using a toilet plunger or a toilet auger can solve the problem. 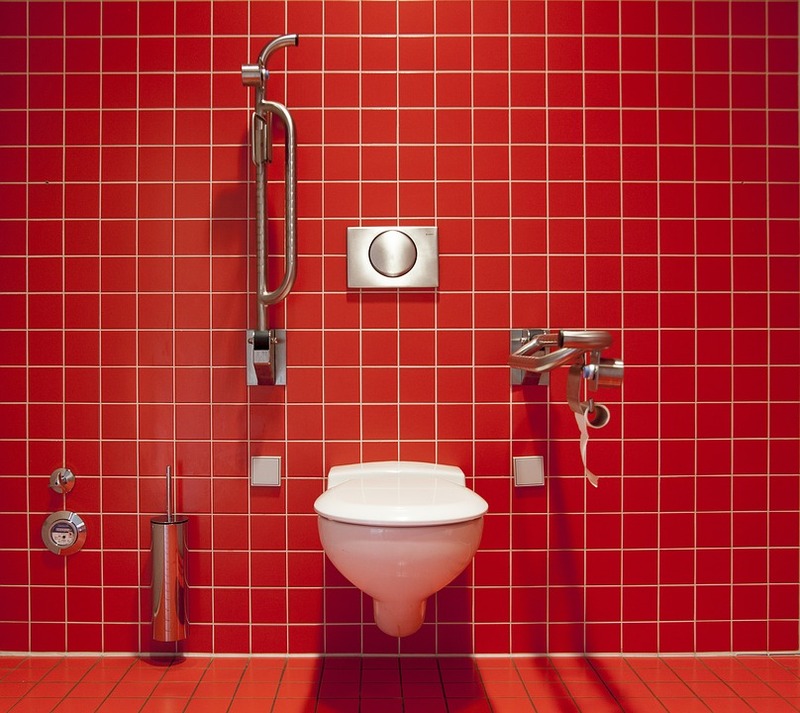 The plunger or auger will push waste through the pipes and allow the toilet to flush. The toilet plunger can also create suction to help dislodge the materials and enable the flushing action to continue. If your toilets clog frequently, try using a thinner type of toilet paper, and see if that makes a difference. The water level in the toilet’s water tank should be at least one inch below the top of the overflow tube in the tank. If there isn’t enough water in the tank, start by checking the water valve because someone might have accidentally turned it off. If you discover that the water valve was turned off, simply turn it on. Keep an eye on the tank’s water level to make sure that it refills to the correct height. Flush the toilet to ensure that the flushing mechanism is working properly. The toilet flapper is attached to the flushing handle by the lift chain. To flush the toilet, the flushing handle outside the toilet is lifted, which raises the chain. The continuous movement of the handle could create slack, rendering the handle unable to lift the flapper fully. This can result in a failed flush. To solve this problem, you may need to shorten the chain so that the raising motion lifts the rubber flapper completely up from the flush tube. To check if this is the cause of the problem, remove the toilet lid and inspect the rubber flapper. The rubber flapper is intended to release the water when you flush the toilet, and it closes again after the flushing is complete. The flapper needs to completely seal up the water hole to make sure that there is a proper amount of water in the tank. If the rubber flapper has deteriorated over time or appears to be bent or warped, water will continuously flow through the hole, leaving either a running toilet or too little the water in the tank. If you have this toilet problem, the solution is quite easy. A rubber flapper is inexpensive and can be purchased from a hardware store. Turn off the water valve and drain the water in the toilet tank. Once there is no more water in the tank, you can now swap the old flapper with a new one. Try flushing your toilet, and see if everything works correctly. These four problems are the most common causes of a toilet not flushing. If you’ve inspected your system and still cannot figure out what the problem is, you should call in a professional plumber as soon as possible.